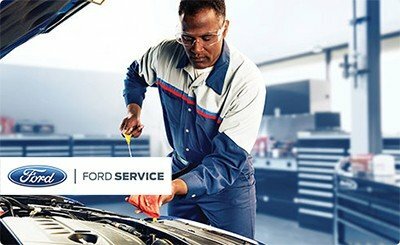 Schedule Service with O. C. Welch Ford Lincoln Inc.
Hello, and welcome to O. C. Welch Ford Lincoln Inc.; the location for the best Ford and Lincoln service and assistance in Hardeeville. Whether you are facing down a considerable repair or simply partaking in a routine tune-up, there is no denying that our lineup of hardworking Lincoln- and Ford-licensed mechanics is here to successfully steer you through each step of this process. Even if you currently drive a vehicle that does not belong to the Ford or Lincoln family of automobiles, we would be more than willing to provide service and support to you during this time of need. Our automotive repair professionals have decades of experience taking care of repairs and support for virtually every manufacturer, so you can relax realizing these seasoned industry experts are easily up to the task of rejuvenating all automobiles, both foreign and domestic. Before you consider any other option, go ahead and join us and dig a little deeper into why so many of our friends in Hardeeville refuse to take their cars in for service and repairs anywhere else. After taking a few moments to do this, we are completely sure that you will be ready to make the correct choice when it comes to getting the most out of your service requirements and extending the useful life of your favorite car, truck, or sport utility vehicle (SUV) by as much as possible. Taking Care of Your Financial Considerations — Looking for the best auto service in Hardeeville, all at a fair and affordable price? Then stop by O. C. Welch Ford Lincoln Inc. and it will not take you long to see just how important it is to us to keep you on point with your budget. Replacement Parts That Adhere to Rigid Quality Standards — Need to bring your Ford or Lincoln automobile to the O. C. Welch Ford Lincoln Inc. service department? Then you will be pleased to find out that we have access to any official original equipment manufacturer (OEM) part necessary to replace the damaged or defective part in question. Once you put it all together, it is obvious that O. C. Welch Ford Lincoln Inc. is more than able to set the gold standard for customer service and support in Hardeeville SC for men and women who want to get their cars back on the road in an expedient and affordable manner. Digging a little deeper, O. C. Welch Ford Lincoln Inc. is not just the most cost-effective and trustworthy service provider in town, but also the home to the most competent assortment of Lincoln- and Ford-certified technicians. While having access to these certified experts might not seem all that impressive initially, the big thing to keep in mind is these experts have abilities and instruction that completely supersede what you will come across at any of our nearby competitors. Yes, it is not unheard of for these lesser companies to utilize clever or enticing sales strategies and showmanship in an attempt to woo unsuspecting clients. Despite this fact, it is still vital to understand that only accredited Ford and Lincoln specialists have invested the time needed to receive this privileged status from Ford and Lincoln . At the same time, claiming this distinction also affords our service techs with the ability to reach out to Ford or Lincoln and stay up-to-date regarding the most recent news and insight into Ford or Lincoln automobiles and the best repair and maintenance treatments. When it comes to keeping your automobile in peak condition, are you truly willing to accept anything less than the premium support and amplified expectations that come with hard work performed by a certified Lincoln or Ford technician? These are just a small amount of examples that speak to why neglecting standard upkeep is never a good choice. The longevity of your car (and your budget) is at risk, so make it a point to reach out to O. C. Welch Ford Lincoln Inc. when you are ready to tackle these simple services. Now that you are aware of the need to come to a trustworthy service provider like O. C. Welch Ford Lincoln Inc. for your repair and maintenance considerations, it is the perfect time to help you develop a suitable service schedule. To get off on the right foot with this undertaking, go ahead and give the O. C. Welch Ford Lincoln Inc. staff of master automotive technicians a phone call at 843-288-0150 today. By choosing to bring your valued business to the service team found here at O. C. Welch Ford Lincoln Inc., you will be taking a great step toward prolonging the useful life of this valuable resource. 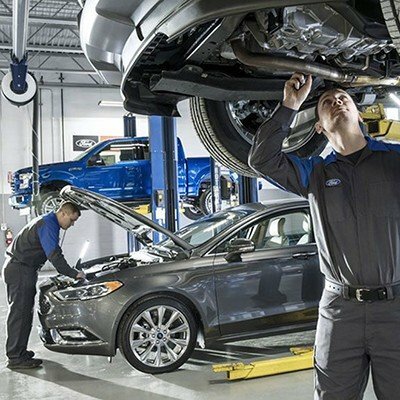 Considering how necessary keeping your automobile in prime form is to your day-to-day routine, and your time devoted to journeying outside Hardeeville, it makes all the sense in the world to connect with the O. C. Welch Ford Lincoln Inc. crew immediately and to get back on track with your standard maintenance schedule as soon as possible.